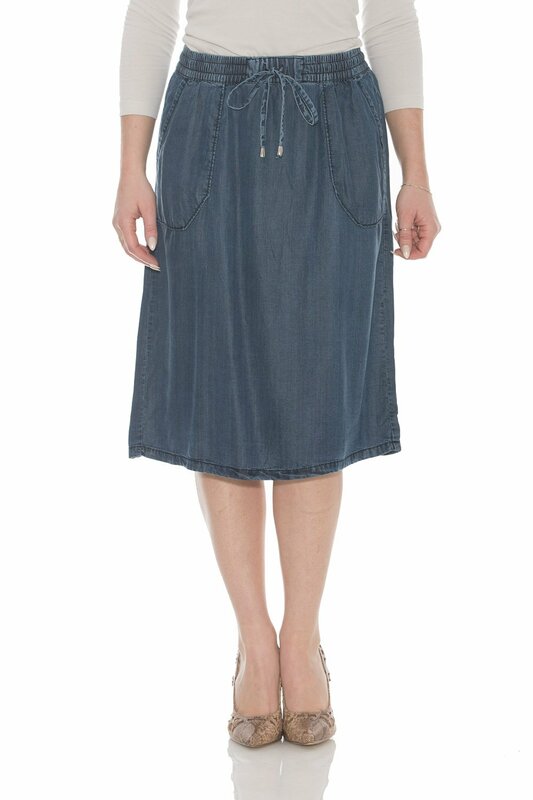 Esteez Women’s Knee Length A Line Jean Skirt Tencel Denim. 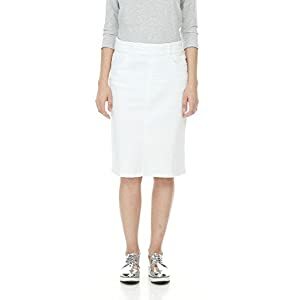 This amazing tencel knee length skirt features slash pockets and an elastic drawstring waist for that added comfort with a chic trendy look. Sometimes called the SAVANNAH, this skirt is made from tencel fabric. What is tencel? It is likely one of the most environmentally friendly regenerated fabrics. It is soft, lightweight, resistant to wrinkles and drapes well. In other words, it’s not only super stylish, it is also so comfortable you are going to not want to take it off! This skirt is a MUST HAVE in every fashionista’s wardrobe. 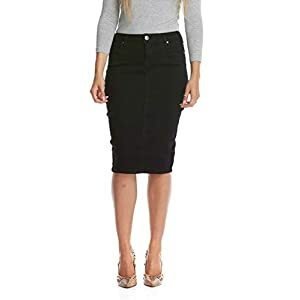 A totally versatile skirt that can be worn to the office, to a party, or a night out on the town. The kind of comfort for an all day fit. If you are searching for a skirt with durability, this is the one for you! The Esteez brand has been around since 2013, and we pride ourselves on total customer satisfaction. Our feedback speaks for itself, so please feel free to take a look 🙂 Our quality keep an eye on of our merchandise is taken very seriously to all the time make sure that the customer receives a top of the range garment at an affordable price. All of our styles come individually packed with our Esteez branding, an Esteez bookmark and are a perfect gift item for your loved ones! BUY 3 SAVE 5% – If you buy any 3 Esteez items you’ll immediately save 5% at checkout (no coupon necessary). Buy for a friend or loved one, and save together!